SHINGLEHOUSE, Pa.----Louis A. “Louie” Perkins, 81, of Shinglehouse, passed away in his home on Friday, March 22, 2019, after a lengthy illness. Born on Friday, March 4, 1938 in Shinglehouse, he was a son of Louis C. and Kathryn Yeager Perkins. On August 10, 1963 in Talladega, Alabama, he married Mary Lou Walker, who survives. 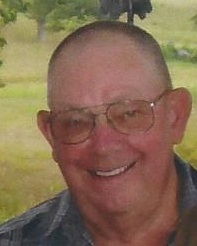 Louie was a graduate of Oswayo Valley High School, Class of 1956, in Shinglehouse. He was a U.S. Army veteran, having served in Alabama. He was first employed as a machine operator at Clark Brothers in Olean, N.Y. and retired in 2000 from Air Preheater in Wellsville, N.Y. For many years, he and his wife, owned and operated Perkins Air Tools. Until the time of his death, he served as an Oswayo Township Supervisor, having done so for over 40 years. Louie was a member of the First Baptist Church in Shinglehouse. He was a member of Sharon Lodge #598 F. & A.M. in Shinglehouse where he had been very active in the Lodge fish fry fundraisers. He was a life member of the Board of Directors of the Potter County Fair Association in Millport, a member of the NRA, and a life member of the North American Hunting Club. He loved hunting, fishing and camping. As a youth, Louie was a member of the Future Farmers of America. Surviving besides his wife are two daughters, Becky E. Ebbert of Allegany, N.Y. and Sharon A. Dean of Pelham, Alabama; three grandchildren; seven great-grandchildren; two brothers, Steven (Julie) Perkins and Lynn (Fran) Perkins, both of Shinglehouse; two sisters, Waneta Snyder of Roulette and Emma (Mark) Lauver of Smethport; and several nieces and nephews. In addition to his parents, Louie was predeceased by a sister, Gladys “Tookie” Dickerson; and a son-in-law, Bill Ebbert, who he considered a son. Family and friends may call from 10 a.m. to 12 noon on Monday, March 25, 2019, at the First Baptist Church, Academy Street, Shinglehouse, where funeral services will follow at noon with the Rev. Russell J. Horning, pastor, officiating. 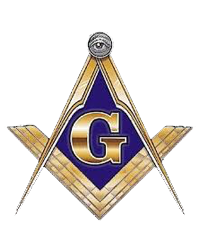 Members of Sharon Lodge #598 F. & A.M. will conduct a Masonic service at 11:45 a.m. on Monday at the church. Members of the Potter County Honor Guard will accord military honors on Monday at the First Baptist Church. Flowers are gratefully declined. Memorials in Louie’s name may be made to the Potter County Fair Association, c/o 1151 Eleven Mile Road, Shinglehouse, PA 16748 or to the First Baptist Church, PO Box 68, Shinglehouse, PA 16748.